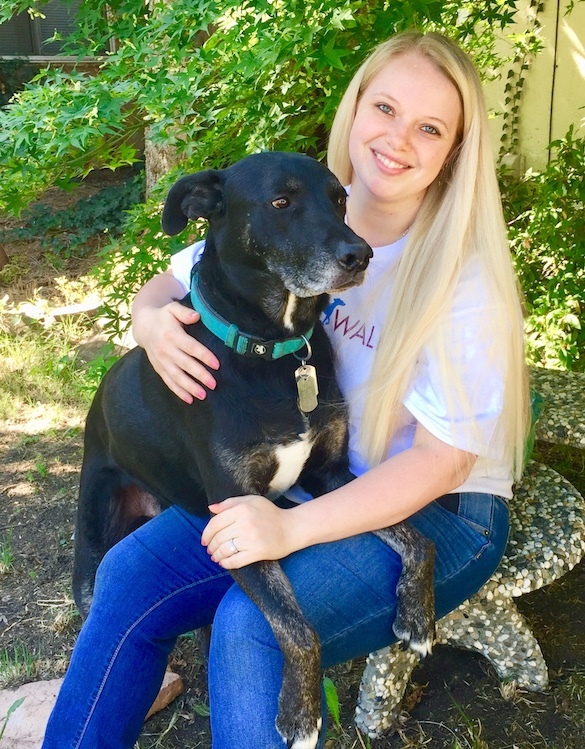 Kristine Doepel leads our team in Walnut Creek and surrounding areas and we are so happy to have yet another dog fanatic on our management team. Before joining us, Kristine spent several years managing an upscale dog-grooming salon in San Ramon. After having a human family, she realized that she could no longer spend long hours at the salon but also knew she needed to work with dogs to feel fulfilled. Needless to say, this is her dream job! We are so lucky to have such an experienced, enthusiastic, and service-oriented person growing with our company. Kristine is pictured here with her Labrador Shepherd mix named Jethro.